My favorite author is Stephen King. In a world where I was insane, I would say that I would try to read every book he’s ever written (maybe I will, but that’s a discussion for another day). What I will do, is read anything and everything related to his epic book series, The Dark Tower. I’ve read it before and the way many people feel about The Lord of the Rings, I feel about The Dark Tower. It’s a seven-book long story about Roland of Gilead, a Gunslinger which doubles as both a knight and a quick-draw gunfighter. He travels between universes following along his path to either save or destroy the world and find the Dark Tower. It’s an interesting series because not only is the story creative and well-written, it’s an opportunity to see King’s writing evolve over time. He started the series early in his career (First book published in 1982 – although apparently he came up with the concept when he was 19 which would technically be late 60s) and the final novel was published in 2012. He did go back and edit the first installment to fit the rest of the epic but it’s cool seeing the way his writing progresses through the story. 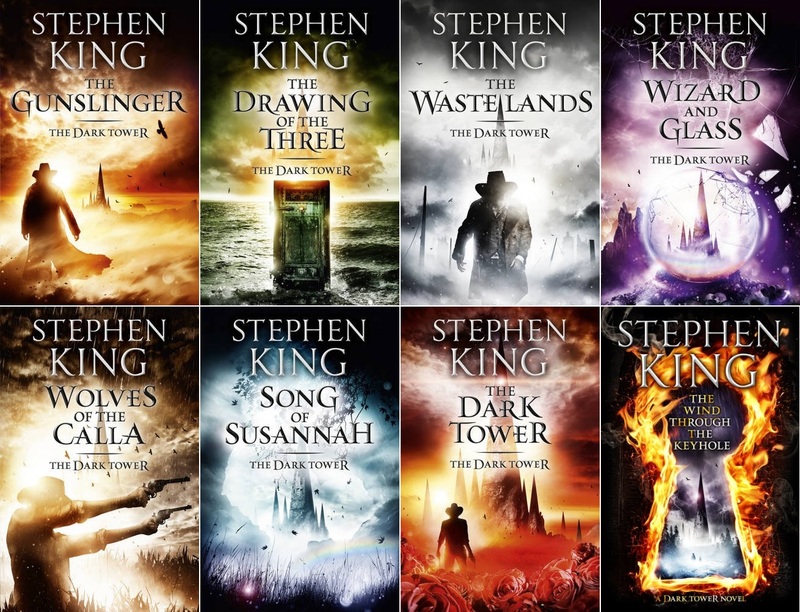 But one of the awesome things about The Dark Tower, and King’s writing in general, is how he weaves The Dark Tower‘s story into his other work. You can also find characters from his other stories finding homes in The Dark Tower. It makes reading not only story of Roland more interesting, but it adds a new dynamic to reading King’s other material as well. Now as I’m reading through them, I may or may not try to record the progress with “Keen Reading” posts along the way. Now for the few of you who care, boring or not, I’m looking forward to tracking my progress. If anyone else out there is insane, I hope you’ll join me on the journey!